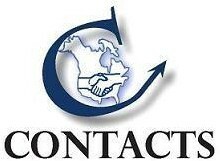 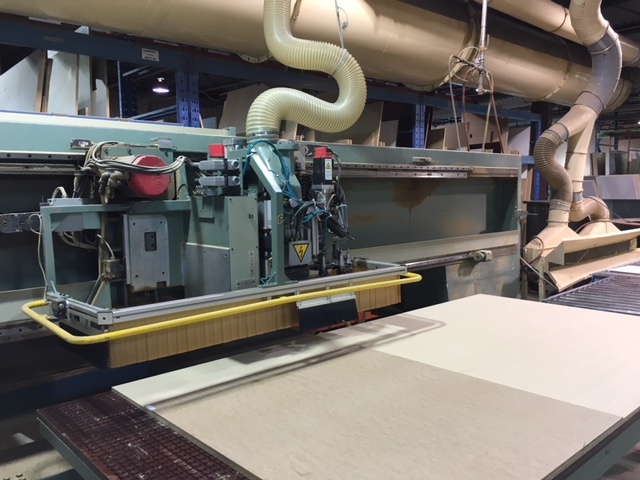 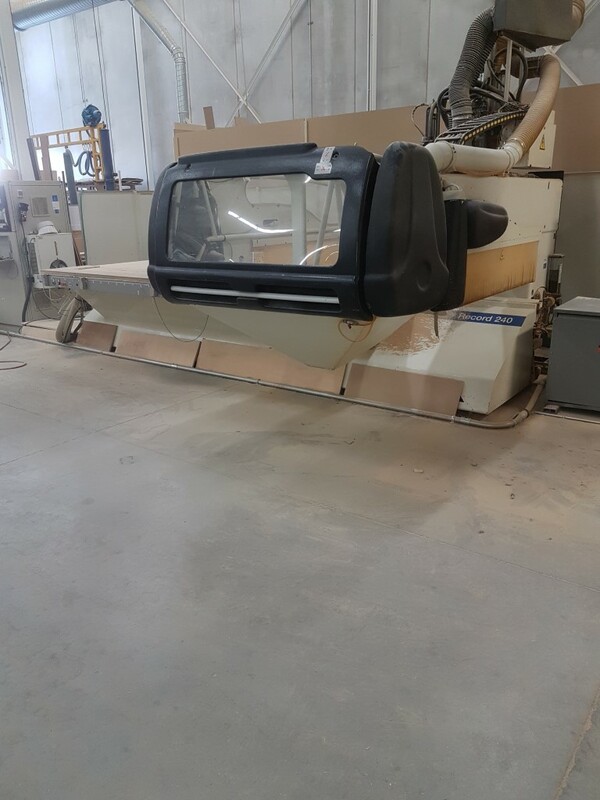 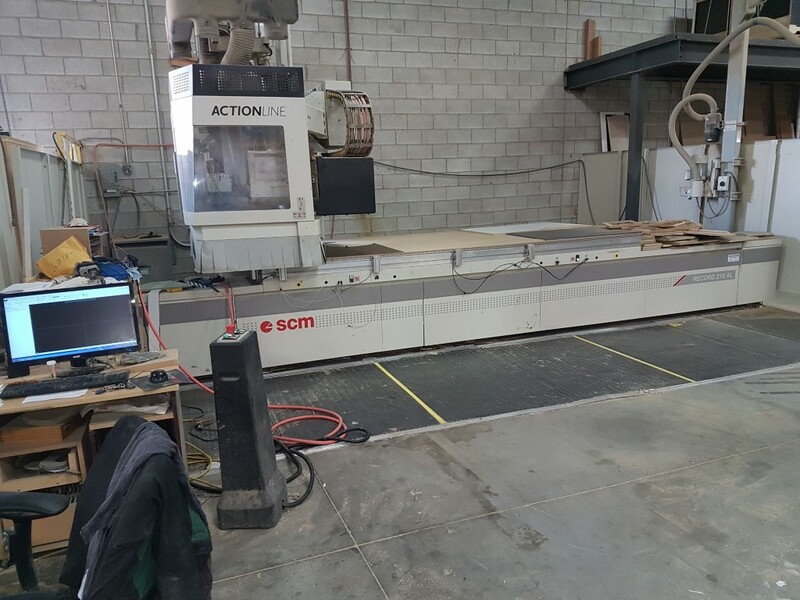 Used CNC Routers for Sale - Contacts Machinery, Inc. 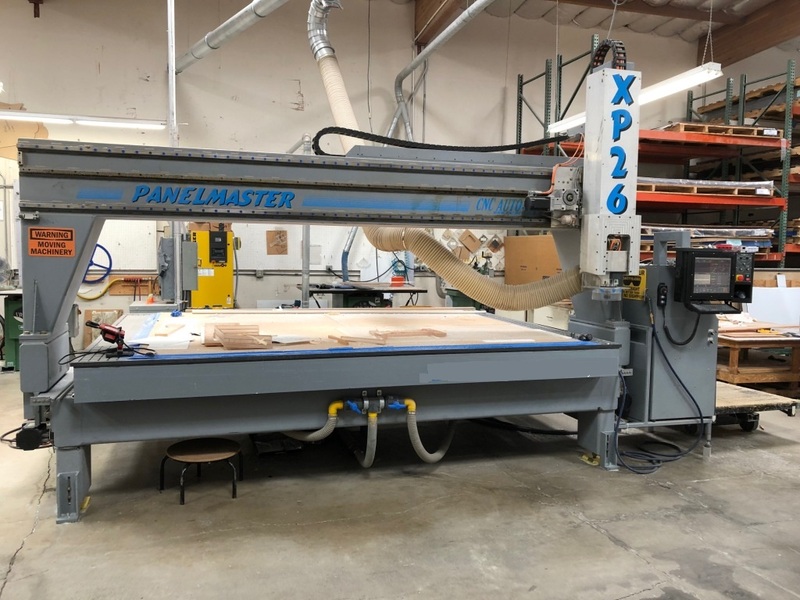 The CNC routers category is made up of CNC Flat Table Routers used for the shaping of components from solid and manufactured wood products as well as for the creation of miscellaneous components from flat manufactured wood panels, sheets of plastics or non ferrous metals. 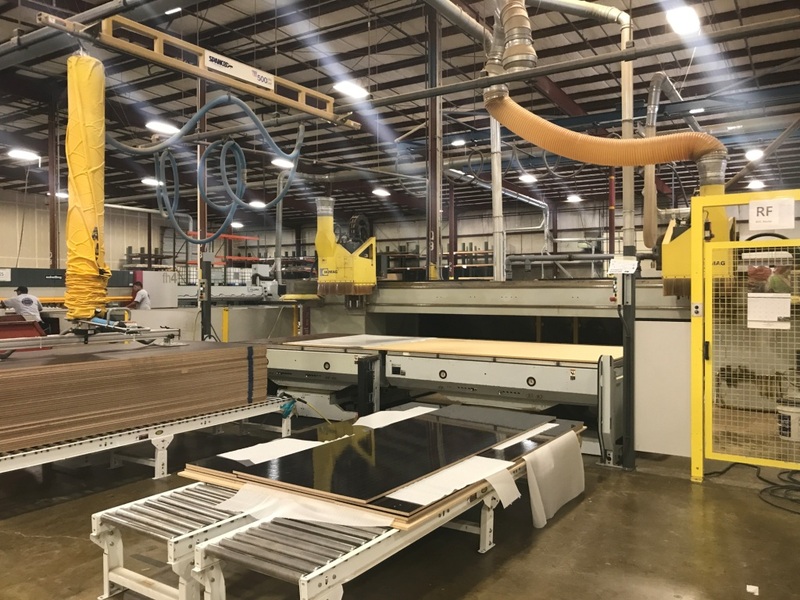 This process, known as nesting, optimizes to ensure the best possible yields from flat panels/sheets. 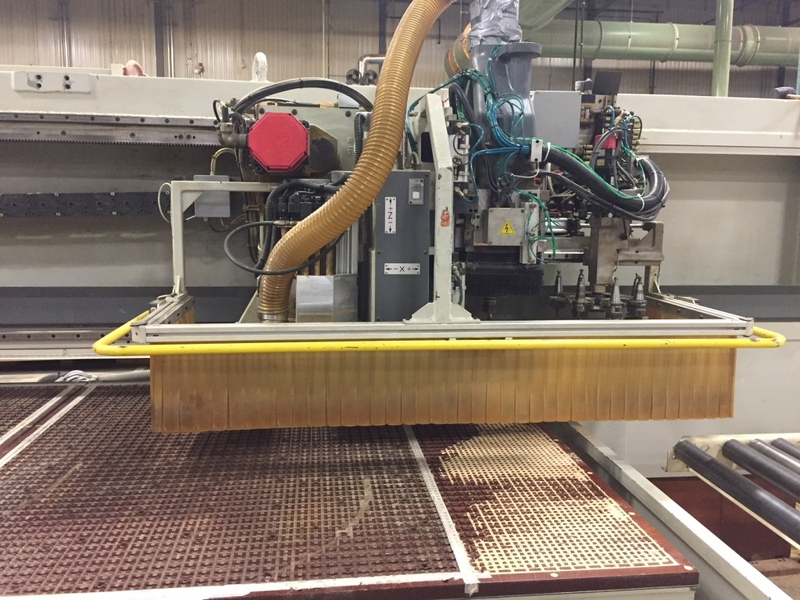 Materials being machined are fixed to the table for processing by either jigs with mechanical clamping, or by vacuum. 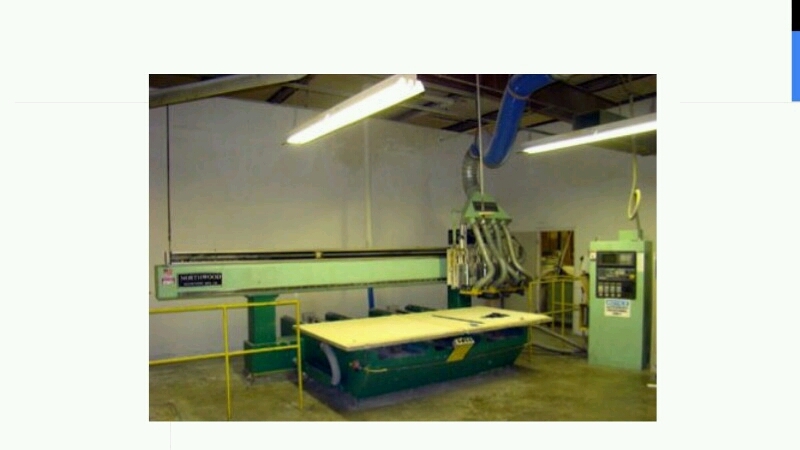 These machines commonly have either 1 or 2 working tables. 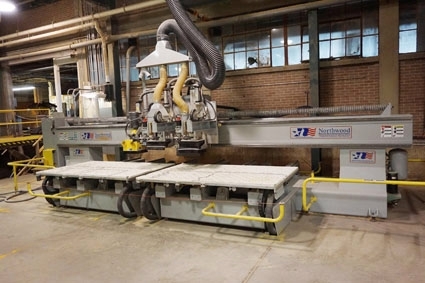 They have from 1 to as many as 4 router heads, and even more, simultaneously operating. 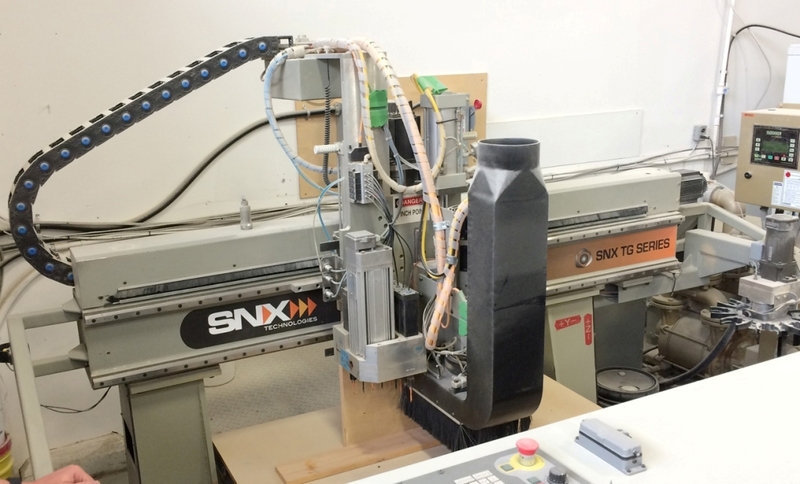 The routers are numerically controlled on 2 to 5 axis, with 3 axis being the most common. 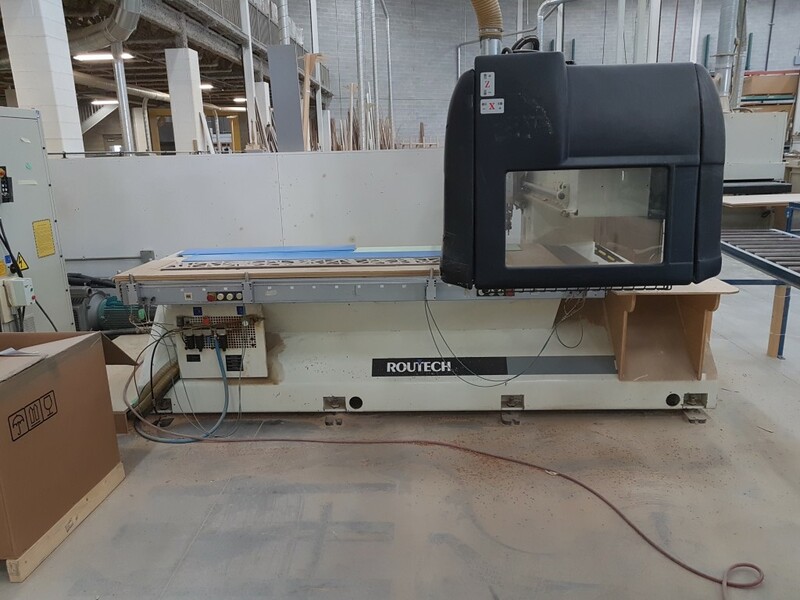 Most of these machines also perform drilling, however their major function is routing. 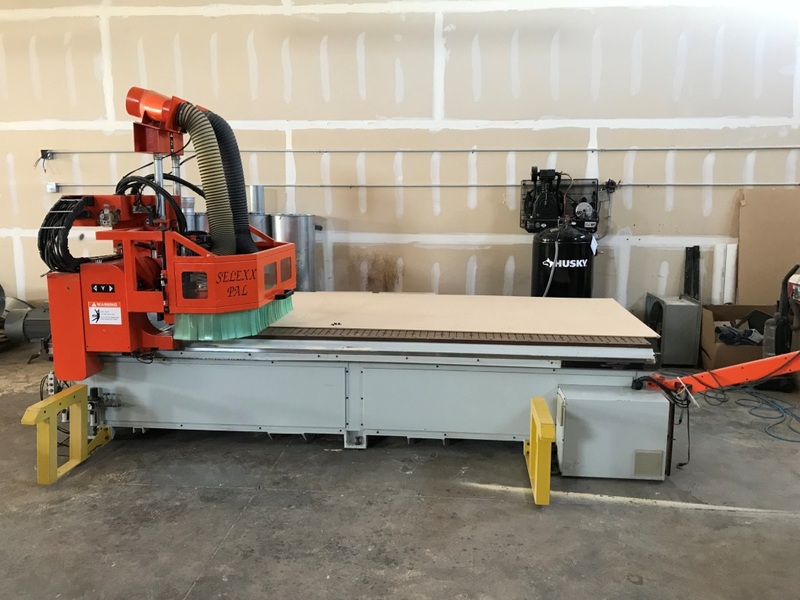 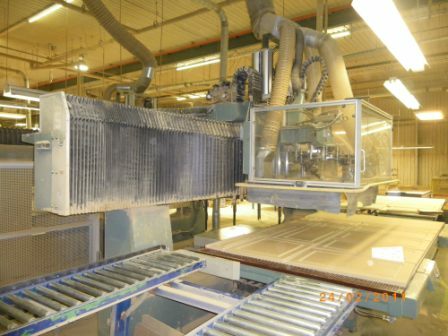 Nesting machines are commonly used by smaller shops to avoid the requirement for a panel saw, or for smaller custom jobs where the advantages of a beam panel saw are difficult to realize.